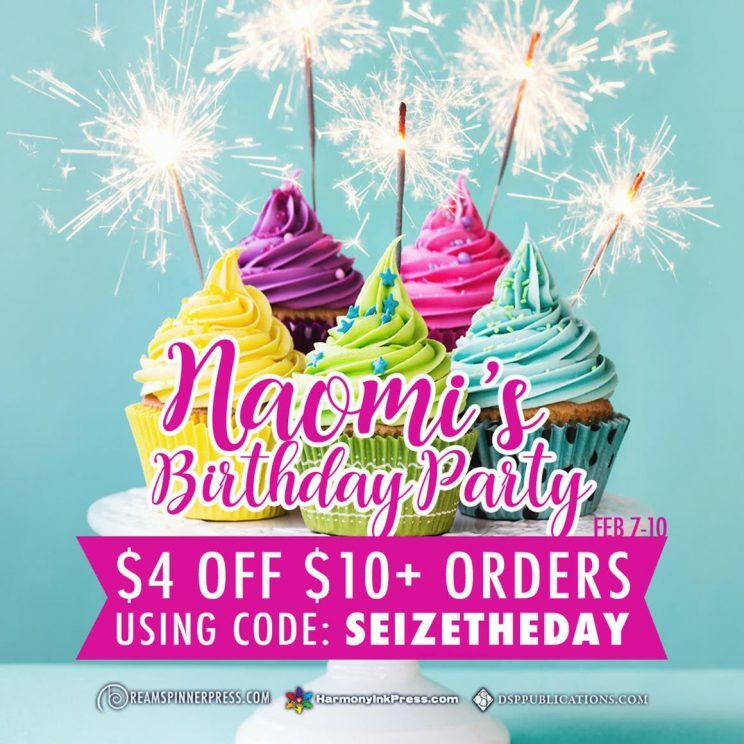 So, Dreamspinner Press, Harmony Ink Press, and DSP Publications are having a birthday party for their Social Media Coordinator Naomi! From February 7 through February 10 you can get $4 USD off of orders of $10 USD or more. The code for it is “SEIZETHEDAY” at their respective websites. So please consider taking a moment to pop over and take a look – there are so many great authors and books to choose from (including Grace’s obviously 😉 ).